The Chinese Treasure Restaurant in the area of Oud Metha, Dubai may not have that ambience of fancy restaurants, but it definitely serves extremely delicious and quality food to its valuable guests. It is because of this reason, Chinese Treasure Restaurant has been able to make its mark and allure Chinese foodies from all corners of the city. This clearly proves that ambience does not matter a lot to most people in comparison to consuming scrumptious food. In addition to the regular tasty Chinese dishes, this bistro also has a fine range of desserts, which include specialties like honey noodles with ice cream -an excellent end to this amazing culinary experience. 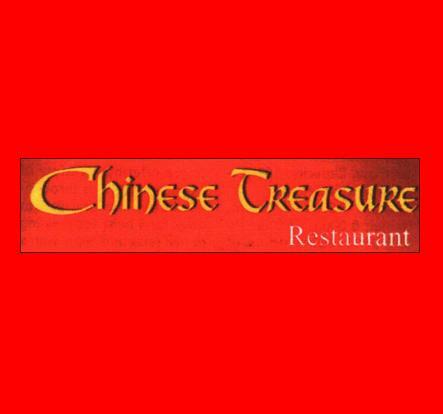 - The Chinese Treasure Restaurant provides dine-in option for lunch and dinner. - This eating place serves authentic Chinese dishes. - Guests can also order drinks from its menu together with the food. The drinks menu also includes alcoholic beverages, as it is a fully licensed bistro. - Fine range of desserts can also be savoured before or after consuming the meal. - People of Dubai can also hire this place if they want to organise a private function or party. - In addition to this, it provides catering and home delivery services. - People of Dubai can also avail the takeaway option. The regular operational hours of Chinese Treasure Restaurant for lunch are from 12:30 pm till 3:30 pm, whereas dinner is served from 7:00 pm to 11:30 pm. Al Nasr Leisueland behind American Hospital, Oud Metha - Dubai - United Arab Emirates. Oud Metha Metro Station 1 is 1.2 kilometres away from Chinese Treasure Restaurant. This makes it a walking journey of about 15 minutes. All commuters of this metro station need to do is head southeast on Oud Metha Road/D 79 after exiting this metro station, and then turn right onto 11th Street. After that the 11th Street will turn slightly towards the left and become 14th Street, from where commuters need to turn right onto 15th Street in order to locate the destination just a few metres away. 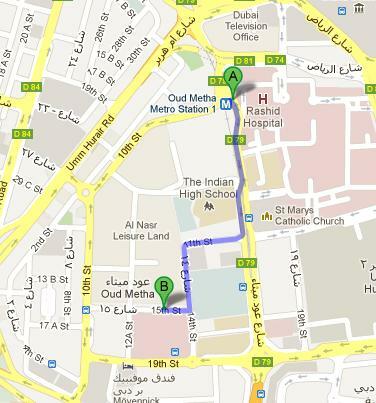 Directions from Oud Metha Metro Station 1 to Chinese Treasure Restaurant. American Hospital 1 – Dubai bus stop is just 400 metres away from Chinese Treasure Restaurant. Therefore, if a person takes any of these bus numbers 42, 44, C4 and C18 to get to American Hospital 1 – Dubai bus stop, he or she can easily reach the restaurant in about 5 minutes on foot. All that bus user needs to do is head east on 19th Street from this bus station, then at the roundabout, take the first exit onto14th Street and later tur left onto 15th Street. Directions from American Hospital 1 – Dubai to Chinese Treasure Restaurant.